Going to college can be a great time for everyone. It is the time when students are setting themselves up for success in the corporate world where they’ll finally get started on living life as independent adults. Going to college can be quite an adventure unto itself if you plan out everything properly. 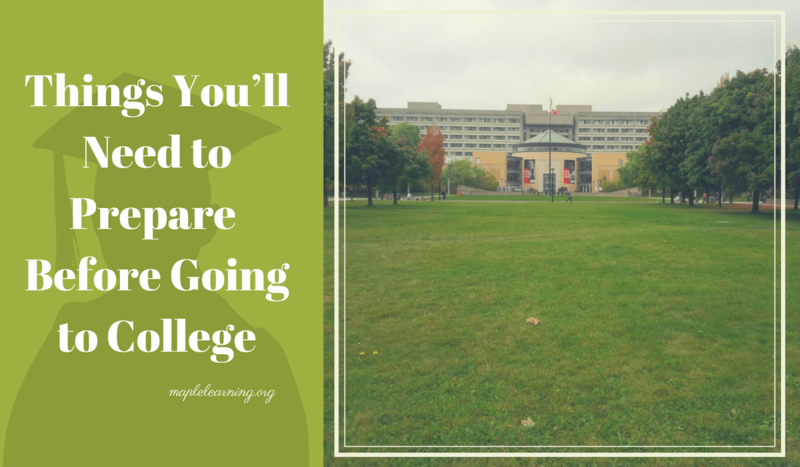 There are a lot of things that need to be planned out before you can head out to college. However, here are a few things that will go a long way in making your college life a lot easier and more memorable. The most important thing that you must keep in mind before going to college is to set up an expectation. What this means is that you should plan out everything that you would expect and want out of your college life. This will include anything and everything, such as friend’s circle, academics, enjoyment, financial assistance etc. At the end of the day, colleges are a business. Even in countries where universities are technically ‘free,’ are paid for by taxation. In case you happen to live in a country that doesn’t provide free education, you should start creating a financial plan for your college, and find ways to pay for your school. To some, it might be as simple as asking parents to finance their education. But to others, it might be a bit more difficult because of financial conditions, making it necessary to opt for a loan. In addition to paying for the college’s tuition fee, there are also other costs such as for books, travel, recreation, etc. These are the expenses that you will have to pay on a daily basis. There should be a plan to find a way to take care of these expenses. Suitable options include having a suitable side business or perhaps getting a part-time job. Commuting to college is one of the main things that can be problematic. If you don’t stay near your college, the odds are that you will need to find a suitable means of transportation to get around. For this reason, it might be necessary to buy a bike or a car. In case you can’t afford it, it would be great if you know more about the available forms of public transportation in the city. For students who are living with their parents, it isn’t going to be much of a problem. But if the college is in a different city, it will become necessary to look into a suitable place to stay. For example, you can find a college dorm or rent a house. If you are planning to live separately from your parents, you should find a suitable roommate so that you can split the expenses with her/him. You need to know which college degrees are highly sought-after in the job market. For example, you can do some research on the Internet to find job positions that are in-demand such going to Workopolis or Payscale website. There are numerous degree programs being offered by colleges, but keep in mind, not all of them are equal. Some have better prospects than the others. You should carefully consider all the possibilities before making any decision on the kind of degree program you will be taking in college. Last but not least is the college itself. The purpose of going to college is to get an education, which should help you find suitable employment. Therefore, you should properly check each college for its reputation, quality as well as the placement opportunities after graduation. In all, these are some of the most important things that you should look at before going to college. These will go a long way in making your college life more enjoyable, better and easier — making you live your college life to the fullest.